The opener to Savage Furs’ five-track record ‘Thrones Of Young Ice’ is a promising one, offering the listener an eclectic mix of a jazz, post-punk and psychedelic sounds. This band is unashamedly influenced by everything 80s; both through the vocals of frontman Del Jae and their heavy use of synths. However as the disk progresses, at times the genre-bending amalgamation of styles can make things seem slightly skewed. For example, while second track, ‘Sick Lamborghini’ has some great elements and showcases strong musicianship, it comes across (for the most part) as confused and overly busy, with too many beats and sounds clashing at the same time. So, instead of being a totally enjoyable experience, we become exhausted. This frustration is unfortunately followed in to the third track ‘Mohair Metal’. 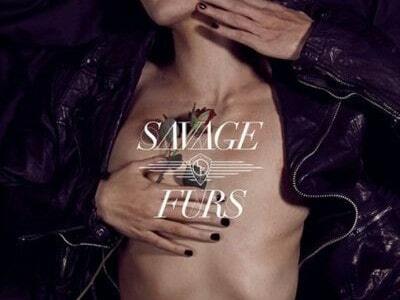 Again, while Savage Furs are obviously talented, (and the introductions to each of these tunes are near flawless in their attempt to create an atmosphere) they fail to keep that momentum going past the half-way mark. This rather contrived stylisation also makes the material sound rather repetitive; maybe because the dense haze of noise fails to make each individual song memorable. This recording is saved in some small part, by the last offering ‘Sick Lamborghini, Club Mix’ which gels together the original’s “all-over-the-place” sound with the help of a steady bass beat. Overall, we feel this band do have potential but the chaotic mashup of sounds really does undermine the efforts of what is clearly a group of very talented people.